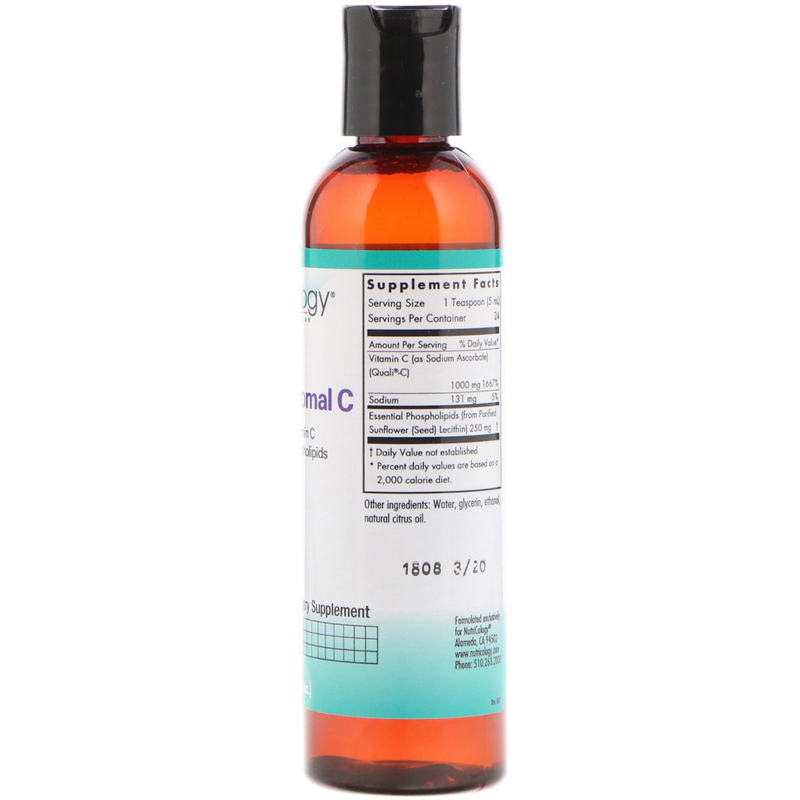 European Non-GMO vitamin C, in pure essential phospholipids from Non-GMO sunflower lecithin. 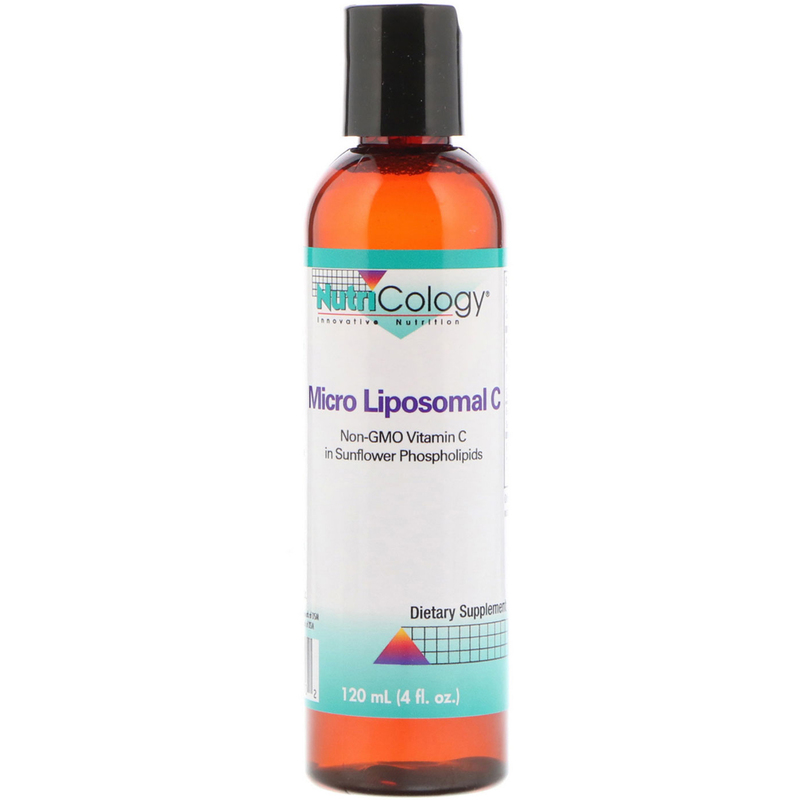 The soy-free liposomes are several times smaller than other vitamin C liposome products. Pours freely as a liquid and tastes great. As a dietary supplement, 1 teaspoon twenty minutes before meals, one to three times daily, or as directed by a healthcare practitioner. Stir into liquid and swallow, or may be taken undiluted. Water, glycerin, ethanol, natural citrus oil.